Pictured above: the colorful and informative New China Scholarship. [dropcap] R [/dropcap]amin Mazaheri is the author of the New China Scholarship series. It was originally published by The Saker (http://thesaker.is/), then picked up by The Greanville Post (http://www.greanvillepost.com/), so I decided to take them, add an introduction to each of the eight parts and podcast them in SoundCloud audio and YouTube video. It has been a blast and has opened up whole new vistas of ideas and perspectives for me, and I consider myself knowledgeable about China. I’ll tell you how good Ramin’s New China Scholarship is. Badak Merah Press just picked up the rights to publish it as a book. Mazaheri’s analysis and ability to contextualize any subject are some of the best in the business. Contextualize is a 25-cent word for putting things into perspective across time, geography and cultures. There are very few as good as he is. I am proud of being able to do the same thing, but in Ramin Mazaheri, I have more than met my match. I tip my hat to someone who is better. For me personally, I think it has to do with a number of factors, which I’m sure Ramin would agree with. First, getting out and seeing the world, traveling and being receptive to different ways of looking at things, learning new languages and as the Native Americans said, “Walk two moons in someone else’s moccasins”. Ramin is Iranian and American, Muslim, has traveled all over the place, studied and lives in the West and speaks English, French and Spanish, along with Farsi. But, I think the most important barrier that has to be torn down, in order to really critically and contextually look at humanity is an ideological one, and that means questioning the Great Harlot, the Grand Wizard of Oz, capitalism. Ramin apparently caught on much earlier in his life than mine. But, until you can speak truth to power at what most of humanity wants you to believe is a towering machine of unquestioned perfection, then the prism through which you see the real world is hopelessly distorted and perverted. Capitalism is a philosophy of failure, the creed of ignorance, and the gospel of envy, its inherent criminality is the unequal sharing of misery. So, I think this is the reason that Ramin Mazaheri is such a good analyst of humanity’s zeitgeist. For me, coming face-to-face with capitalism was like being an alcoholic all your life, finally sobering up and your whole perception of reality changes overnight. It’s hard to do, because as I joke, we Westerners start getting brainwashed in the womb about the moral superiority of capitalism and pluralistic democracy, and from birth the propaganda is relentless day in and day out. 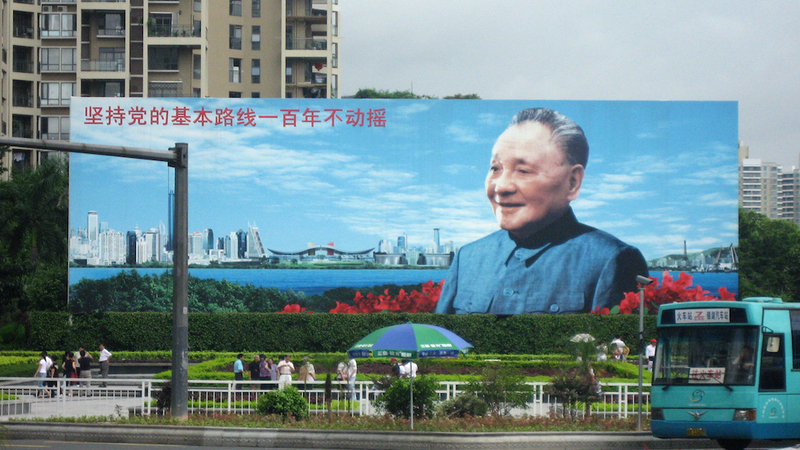 So the NPC (National People’s Congress) meets once every 5 years, and that is when they pass new legislation. How much can the United Front dissent from this new legislation – at 30% is that enough to stop legislation they don’t like? 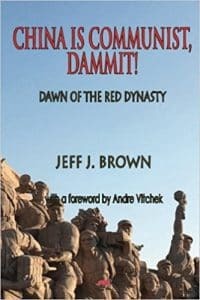 Answer #1: As I pointed out in Book #3 of The China Trilogy, China Is Communist Dammit – Dawn of the Red Dynasty the one Ramin uses in his series, China has a loyal opposition, called the United Front. It is composed of eight parties (https://en.wikipedia.org/wiki/List_of_political_parties_in_China). I had the pleasure of meeting the leader of the China Democratic League. Here’s the deal. Just like the West will never allow socialism or communism to become a reality, China is not going to allow capitalism to take the reins either. However, for any proposed legislation, the United Front is a valuable sounding board and critique, to keep the CPC grounded in reality. If the criticisms of a law under debate are loud enough, the NPC is going to listen and likely consider amendments. But this is true for all legislation proposed in the NPC. When the NGO Control Law was proposed (http://chinarising.puntopress.com/2016/04/30/baba-beijing-lowers-the-communist-boom-on-foreign-ngos-china-rising-radio-sinoland-16-4-30/), there was such a hue and cry from foreign governments, that the NPC tabled it for several months to allow debate and discussion. How many Western countries let other governments criticize pending legislation? Anybody, including you, dear China Rising Radio Sinoland (CRRS) fans can go online and comment about any bill being proposed in the NPC. 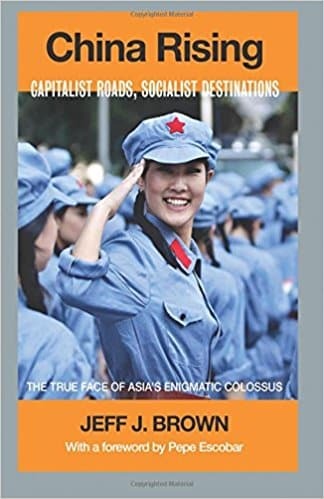 At the same time, the CPC is the biggest polling entity in the world, which I wrote about in Book #2 of The China Trilogy, China Rising – Capitalist Roads, Socialist Destinations. I see these pollsters all the time, on the sidewalks and in shopping malls, asking about everything from local corruption to garbage collection service to women’s public health screening tests. Neighborhoods routinely post requests, asking citizens to drop by the local government office to tell them what they think of this issue or that problem. 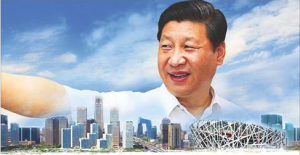 Millions of Chinese critique pending legislation, from their neighborhood committee to the NPC and if there is serious opposition to any proposal, it is likely not going to pass in its current form. The NPC drops proposed bills all the time, while debating and amending them in the process. The same goes for local, city and provincial laws. I ask you, can you find a more democratic, participatory system of governance on Earth? Maybe Switzerland’s. China’s reality is so distorted in the West, because if Euranglolanders started asking, Hey, how come we can’t do that, how come no one listens to us?, the elites would have to pull off even more false flags and invade and destroy more countries, to keep their miserable masses distracted and scared. 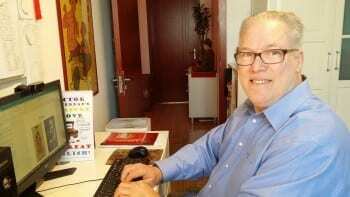 A few other modern China analysts – Godfree Roberts, who else? 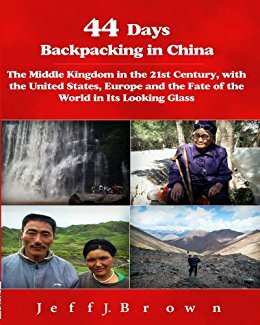 Are there other books similar to yours, or do you view your book as truly unique in 2018 being a modern, sympathetic history of modern China? Answer #2: Godfree Roberts has not published his book yet, China 2020: Everything You Know Is Wrong, but having read a few chapters he has sent me to comment on, I know it’s going to be an excellent addition to New China Scholarship. Until then, go to my blog page (http://chinarising.puntopress.com/blog-2/), search “Godfree” and you can listen to our several interviews on my CRRS show. I have had him on more than anybody else, since he is very informed about China, is witty and does a great job of contextualizing and analysis. It has been many years since I read it, but I recall Martin Jacque’s book, When China Rules the World, to be an objective read (rumor has it he is a closeted socialist!). 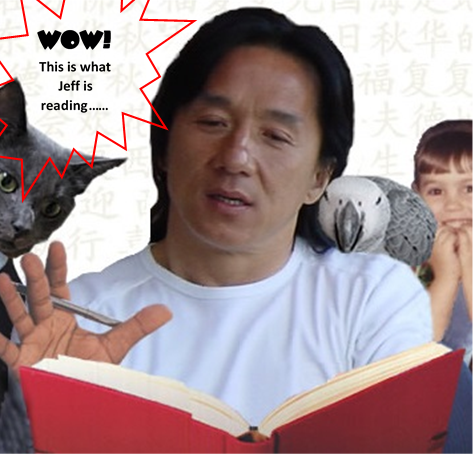 To toot my own horn, all the books in The China Trilogy empathetically tell the Chinese people’s 5,000-year story, up to analyzing today’s headlines. Outside of books, there are many modern writers, such as Andre Vltchek and Pepe Escobar, who honestly report on China, not to mention Ramin Mazaheri. How much ’50s and ’60s corruption can be attributed to the presence of “reformed” KMT supporters? Did the CCP dissolve the KMT, like the Baathists in Iraq, or were they forced to incorporate them? Answer #3: After the United States helped save Chiang Kai-Shek and some of his gangster army, by giving them safe passage to Taiwan, there were still millions of KMT soldiers and sympathizers stranded on the mainland after communist liberation in 1949. The Communist Party of China went to great lengths to reform those who were willing to support the revolution, but if they were unrepentant or known bad guys, then they were likely imprisoned or executed. Not only the KMT, but it was the same story for anybody who was an enemy during the Chinese civil war before 1949. This included landlords, business owners, warlords with their armies and government officials. Those who repented and agreed to support New China were given an opportunity to do so. Those who raped, stole and abused the people were judged by their local peers and the vote may have been execution or prison. But millions, KMT and others, slipped through the cracks or insincerely agreed to join the cause and then went about trying to undo China’s liberation. They had plenty of help. The West was sending in Tibetan and Taiwanese saboteurs to foment counterrevolution. China had been the West’s colonial whore for 110 years, until 1949. Imperial exploitation and extraction were the economic model during that time. Thus, millions of citizens had been plugged into this now defeated capitalist system: drug importers, drug dealers, casinos, houses of prostitution, racketeers, extortionists, loan sharks, smugglers, criminal gangs, human and child traffickers, slave and serf masters, corrupt government officials, as well as all their hangers-on. A good number of them were against New China’s lofty ambitions and secretly organized and worked to take the country back to its century of humiliation, for personal aggrandizement and enrichment. As Ramin wrote in his New China Scholarship series so far, not only was the West sending in saboteurs, but it drove its armies up to the Yalu River and China’s border during the Korean War, while bombing the Chinese and Koreans with germ weapons, in hopes of killing millions via epidemics (http://chinarising.puntopress.com/2018/06/25/bioweapon-truth-commission-and-global-online-library-bwtc-gol-www-bioweapontruth-com/). At the same time, the United States was already in Vietnam, massacring millions in the hopes of conquering North Vietnam, in order to plant divisions of NATO forces and nuclear weapons on China’s southern flank. Both of these crimes against humanity were not about “freedom and democracy”. They were all about weakening communist China, in order to overthrow it. Eurangloland is still working double time and spending billions to do just that. Aside from Ramin’s three questions, I would like to give him kudos for the amazing portrait he painted of the world in the 1960s-1970s. Apart from the two aforementioned wars on China’s borders, I had not thought about the fact that Indonesia was suffering its own anti-communist holocaust, with the West working side-by-side with its new fascist stooge leader, General Suharto, exterminating up to 3,000,000 citizens – just about everybody who was branded a “liberal”. Japan, Korea, the Philippines and Australia were and still are occupied American satraps. Taiwan was militarily occupied until 1979, and still is geopolitically. No wonder Mao Zedong and his government justifiably felt besieged from the outside, along with economic, financial, technological and trade blockades that today’s Iranians, Cubans, North Koreans, Eritreans, Venezuelans, Palestinians and many more nations illegally suffer under. Finally, double kudos for Ramin’s amazing synthesis of Mao’s celebrated 1966 swim across the mighty Yangtze River, with the ancient book, I Ching. I hadn’t read the I Ching since the 1990s, when we lived in China the first time, 1990-1997. But, he’s absolutely right. An educated Chinese friend confirmed that Mao was deeply knowledgeable about Daoism, Confucianism, the I Ching and all the classic texts. He was easily one of the most cultured, erudite world leaders of the 20th century. Ramin is right, most Westerners have not read the Bible, but are steeped in its stories, allegories, vernacular and iconography. The same is true for the Chinese. Most have not taken the time to read the many tens of thousands of pages of classics accrued over the last five millennia, but recognize their well-known stories, allegories, vernacular and iconography in popular culture. Thus, Mao knew exactly what he was doing, vis-à-vis the I Ching, when he dared to swim the Yangtze, to challenge and inspire his 740 million citizens to join the noble goals of the Cultural Revolution. Bravissimo and thank you, Mr. Mazaheri for discovering one of the greatest historical socio-political analyses of New China! Now, I can start podcasting the rest of Ramin’s New China Scholarship, Parts 5-8.